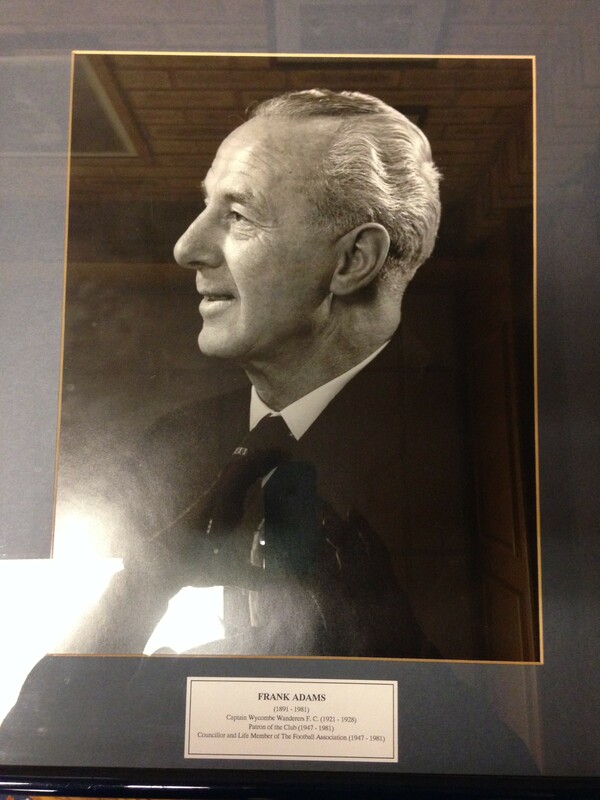 This delightful picture (apologies for the flash reflection) of our generous benefactor Frank Adams has just been returned to the football club having formed part of the recent exhibition at the High Wycombe Library. Frank Adams joined the club in 1910 and by the time of his retirement in 1929 he had made 331 appearances and scored 104 goals. Yet his impact on the club was far more reaching than mere statistics! In an act of supreme generosity this former player, captain, committee member and, by then, life member purchased the freehold of Loakes Park from Lord Carrington and in 1947 presented the deeds to the club, thereby securing the future of the club for generations to come. 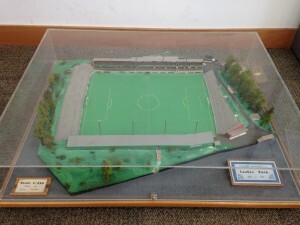 (pictured here is a three-dimensional model of Loakes Park which was also in the library display and which we hope to find space for, to have on display somewhere at Adams Park). Frank Adams was then made Patron of the club – a position he continued in until his death in 1981, when he was succeeded by his son Jack. 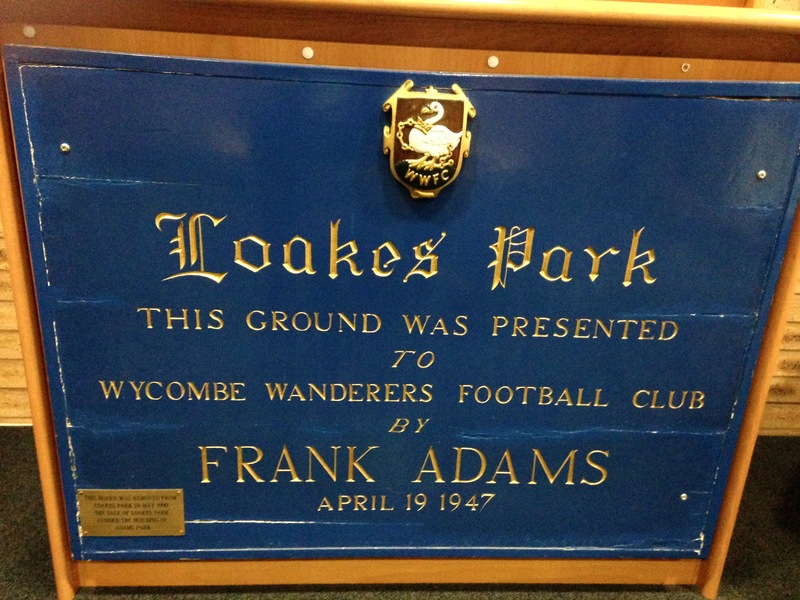 It is with many thanks to Jack’s daughter, Karen Adams, (President of WW Trust) that we have had so much of Frank’s memorabilia loaned to the club for both the recent Museum and Library exhibitions. Some other items are on display just inside the Main Reception at Adams Park. 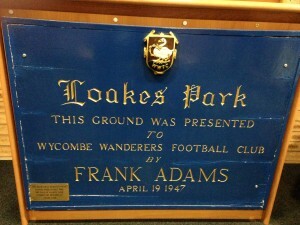 When the club moved in 1990, Adams Park was named in honour of Frank. Born in 1896, Frank played in two Spartan League Championship winning teams and three times helped the club to win the Berks & Bucks Senior Cup. As well as his connection with the Wanderers, Frank served on the International Committee of the Football Association and was a prominent local businessman.